A family is mourning the death of their loved one who was hit and killed by an 18-wheel logging truck on a Mississippi highway recently after having stopped at the scene of a car accident to render aid. The Advocate reported that after Lesli Wood, 52, had pulled over to the side of the road and provided assistance to a car crash victim, the good Samaritan was hit while returning to her vehicle. The truck also hit several other vehicles which resulted in two others having to be hospitalized. Aside from being recognized as a kind and caring person, Wood also worked as a visual and performing arts teacher. She grew up nearby to Jackson, MS and later relocated to Baton Rouge where she met her husband and they wed in 2011 after winning her battle with breast cancer. As tragic and unfortunate as this accident is, it serves as a reminder that many of the drivers that are traveling nearby to you on the roadway aren’t paying attention, even if you are pulled off to the side of the road rendering aid to the victim of an auto accident. In fact, this type of accident occurs much more frequently than you might think which is why we are sharing some safety tips for you below in the event you find yourself pulling over to help someone who has been involved in a wreck. Park safely away from the crash. Put your hazard lights on or traffic triangles out to signal to other motorists and emergency personnel that an accident has transpired. Assess the situation before approaching the scene. There may be broken glass, leaked fuel, etc. 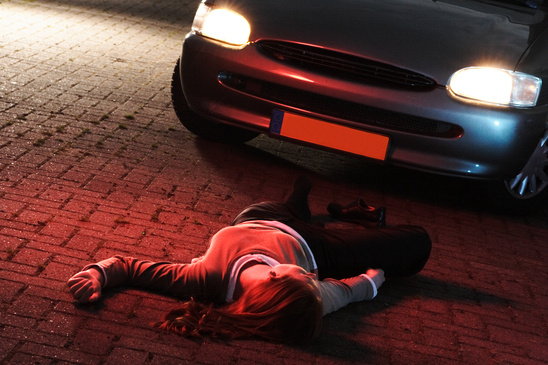 so you need to be extremely cautious as you get closer to the accident. If you don’t see any potential hazards that pose as a threat to you, proceed on to help those in need. Be careful when rendering aid as you don’t want to move anyone too much if they suffered an injury as this could worsen it. As commendable and brave as it is to get out at the scene of an auto accident to help those who have been involved, it is important that you refrain from putting your own life at risk. Therefore, if you ever find yourself faced with such circumstances, be sure you implement these safety tips and others to avoid from getting hurt or worse, killed. Now, if you or someone you know suffered an injury in an accident in Jackson, MS, whether you were involved in a wreck or you pulled over to render aid, you will want to contact the MS accident lawyers at the Heilman Law Group, PA as soon as possible. Our office can assess the details of your incident, determine what the damage is worth as well as which parties are liable, and help you to take the necessary forms of action to hold them accountable for their negligent behavior.